Better Pimento Cheese, delicious pimento cheese with a few secret ingredients to wow your guest. Mix all the ingredients together, put it in the fridge and the flavor just keeps getting better and better. I have a friend, Pat Williams, that makes the most delicious Pimento Cheese you will ever eat. My family calls it Better Pimento Cheese. There are a few secrets that she shared with me about what makes hers stand out. One thing, she uses is an extra sharp cheddar cheese, (preferably Cabot Extra Sharp Cheddar Cheese that she shreds herself), Helmsman's mayonnaise, and here is the crescendo diced Jalapenos. How yummy is that? She says that if you can wait, it taste better after being refrigerated for a day or so. Thank you, Pat, for sharing your wonderful recipe with me! In a large bowl, shred cheese; add pimentos and mix well with mayonnaise. Add jalapeno and mix well again. Serve at room temperature or refrigerate until ready to serve. Depending on how moist you like your pimento cheese, you can add more or less mayonnaise. We like a lot of jalapenos, but you can adjust the recipe to your taste. Yum! It reminds me of Palmetto Cheese (the brand from SC) because one of their kinds has jalapenos in the mix! They also have cream cheese and I think pepper jack with the sharp cheddar! So yum! I think I may make yours tomorrow! Thanks for sharing! Amee ~ I am so glad you are enjoy my blog...I will be looking for your linky on Friday...see you there! Yum! I love your blog! I am your newest follower and would love it if you would check out my blog and follow me too! Thanks! Found you on Served Up With Love. 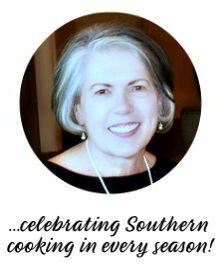 Your name stood out to me because my blog is Cooking With Kick :) My dream kitchen is in your banner! This looks delicious--I printed it out so i can try it! TLove your blog and style...your newest follower. I've only recently discovered the joys of pimento cheese...this one looks delish! 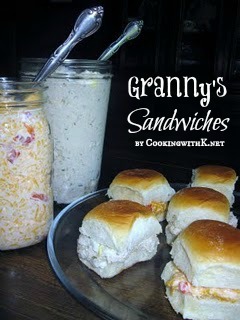 Hi K, I'm so addicted to pimento cheese and especially the versions with hot jalepenos included! 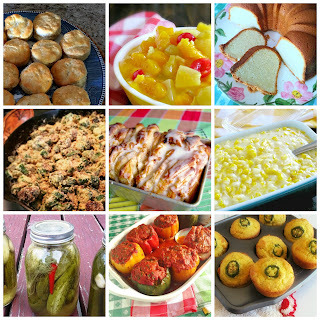 Thanks for sharing one of the recipes that folks hold so secretly and dearly to their families! As one commenter said "it is similar to Palmetto Cheese (brand) from South Carolina that I could pour straight into my mouth! Hope you can stop by and add it my weekend blog hop going on right now. I featured you today on the link up too, if you'd like to stop by. This sounds so easy and yummy! Thanks for sharing. Visiting from full plate. This sounds delicious and I love Cabot cheddar. Texans cannot live without our Pimento Cheese. I like your addition of the jalapenos to give it a kick. Thanks for sharing with Full Plate Thursday and come back soon! Wow, how delicious! 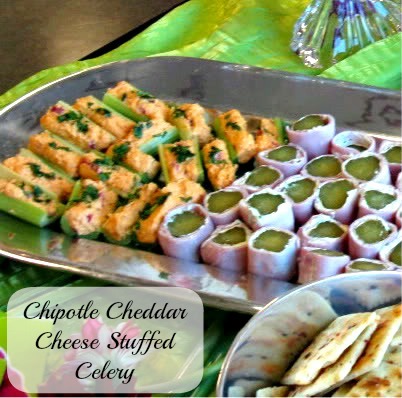 Your cheese dip looks perfect for any game day or parties! Can't wait to try your recipe. Please stop by to enter for a chance to win. Have a wonderful day. Amazingly, I have never had Pimento Cheese. I feel so deprived! This looks awesome! I just made Pimento Cheese Pizza so I may have to make it again with this version! 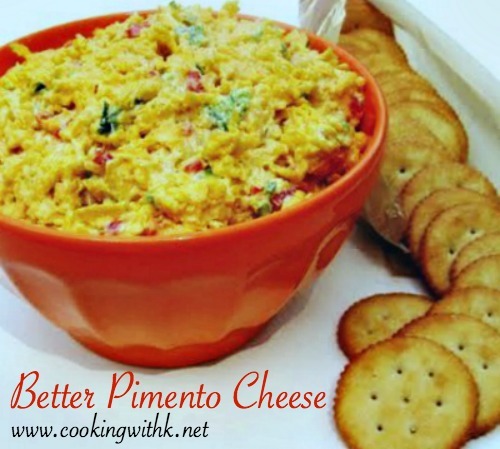 Do I ever love pimento cheese! Love the addition of jalapenos- I think my husband would love it too! Thanks for using Cabot cheese :) Our farm family owners appreciate your support! 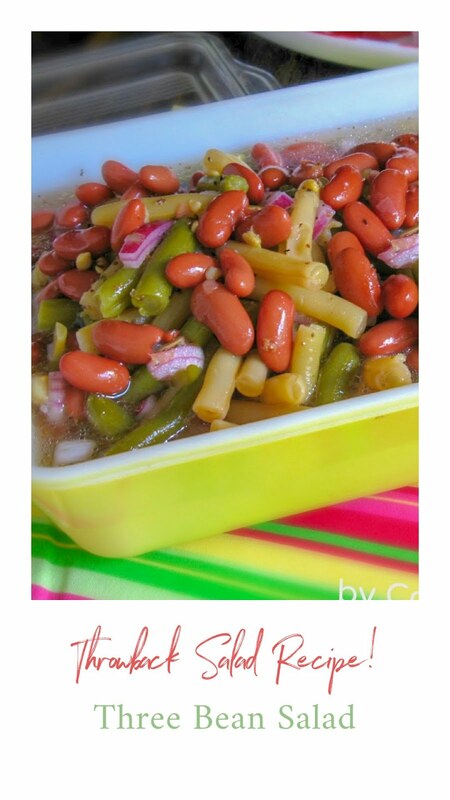 This sounds delicious and I love the idea of adding the jalapenos! Thanks so much for linking this up to Inspiration Friday this week! 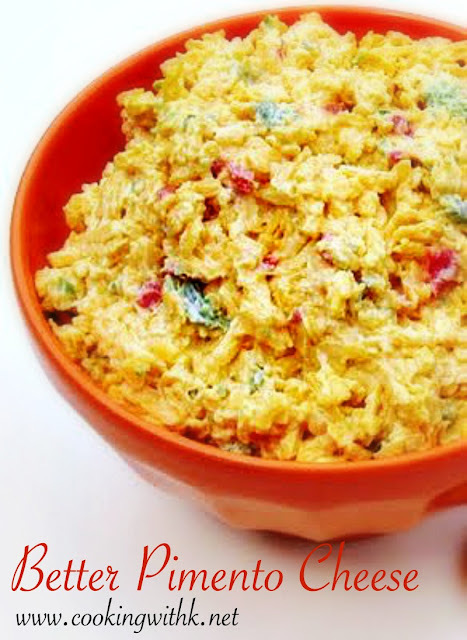 I love pimento cheese...never added jalapeno. Yum, that sounds like it's going to have a kick to it! :-) Thanks for linking up! This sounds amazing! Thanks for linking up at DIY Thrifty Thursday! I'm your newest follower! I love pimento cheese sandwiches. Best way ever to eat them is with bacon and grill them! So good! Oh how I love cheese pimiento! I'll definitely try this one! I am sooo late visiting this week! Thanks for linking this up to Fat Camp Friday, see you tomorrow! I didn't think I liked pimento cheese since I originally tasted one with American cheese. But I recently tried one with sharp cheddar and WOW! Me likey!